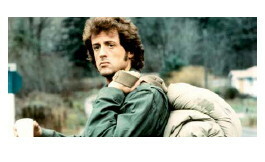 HERE’S SOME SYLVESTER STALLONE TRIVIA. One of Sylvester Stallone's nicknames is Sly. Stallone wrote and produced all the Rocky movies. Stallone shot the latest and final Rocky film at the age of 60. He’s a huge fan of Bollywood movies. Shortness of breath while filming Rocky made Stallone quit smoking cigars.